Credit: NASA/GSFC. Download this image (PNG, 661 KB). [13-Feb-18] A graphic rendering of the PACE Observatory, with solar panels deployed. 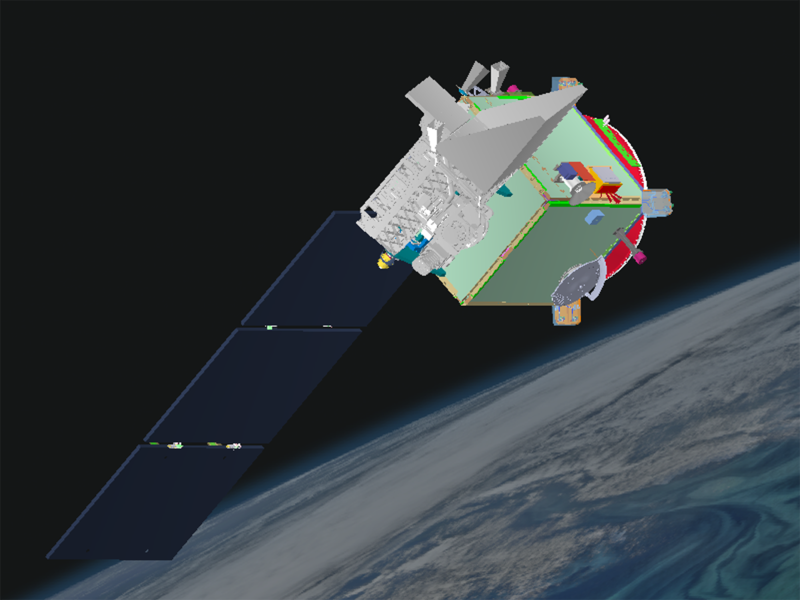 The Ocean Color Instrument (OCI) is shown at the front of the spacecraft. Updated 13-Feb-18.